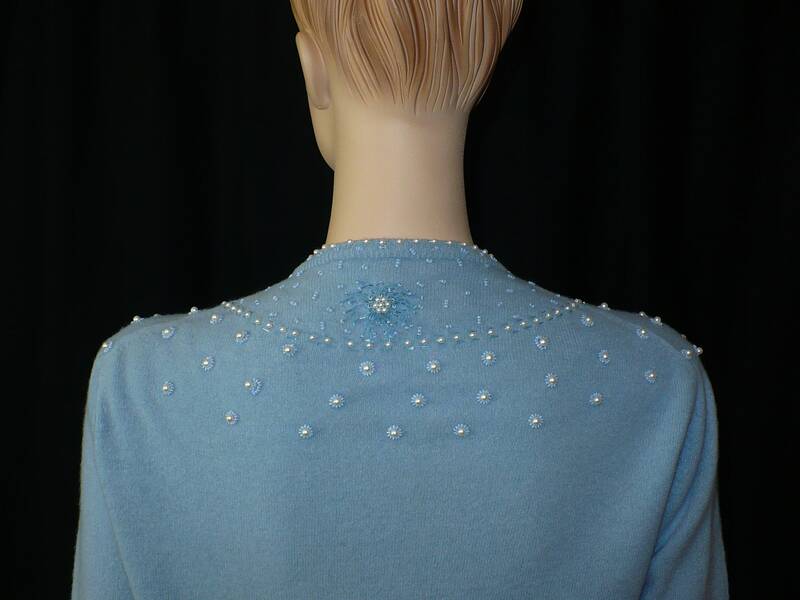 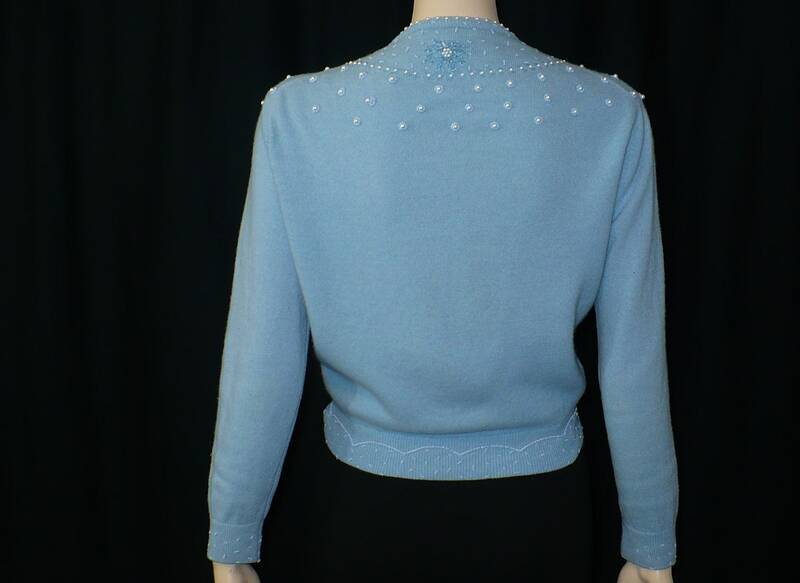 Fabric: Cashmere wool outer, sleeveless silk lining, glass seed beads, faux pearls. 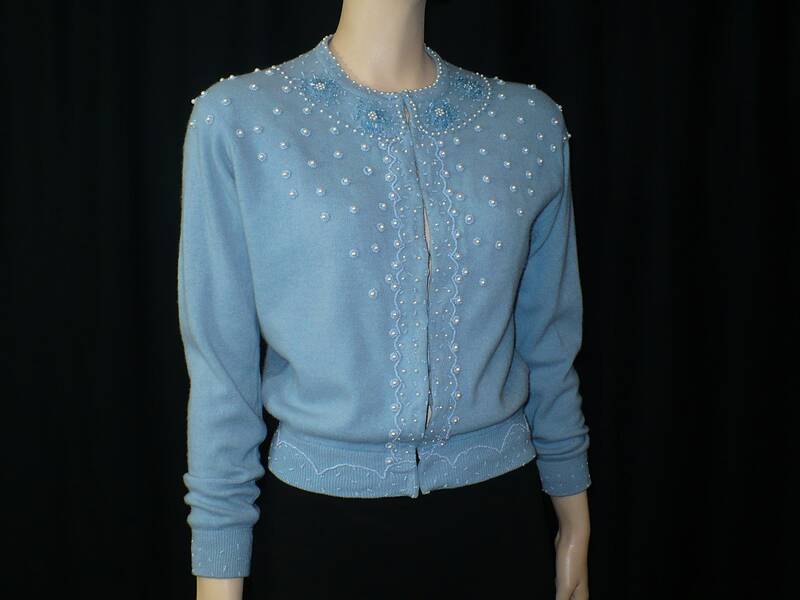 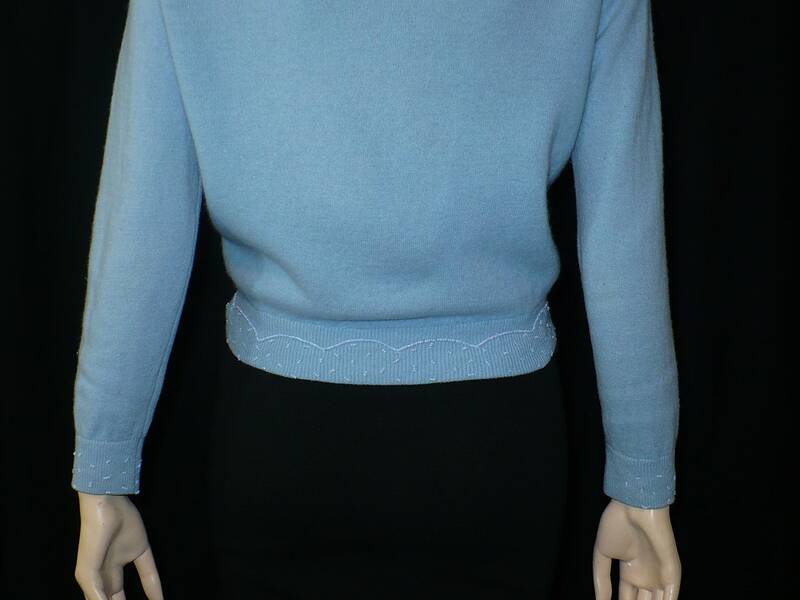 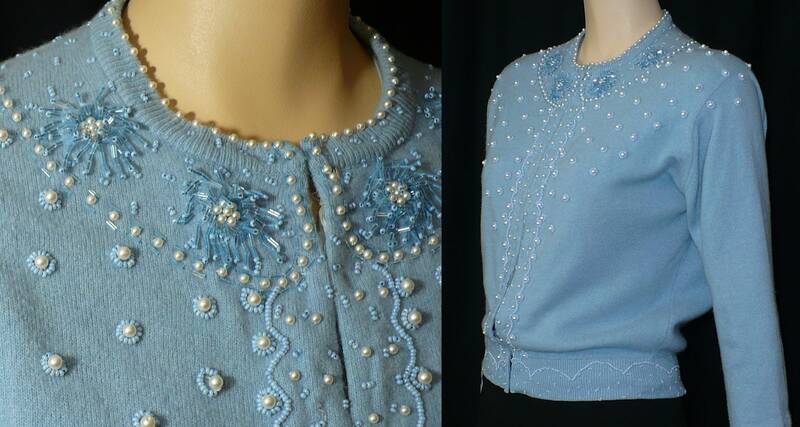 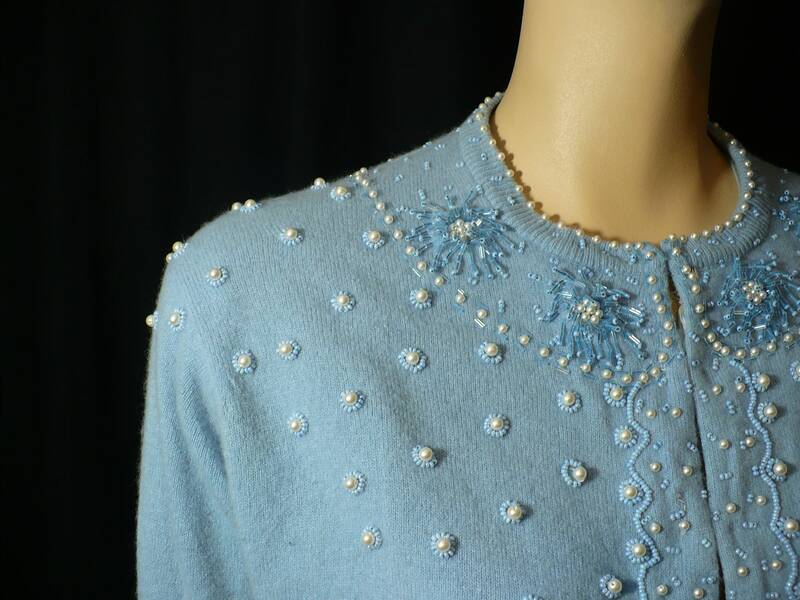 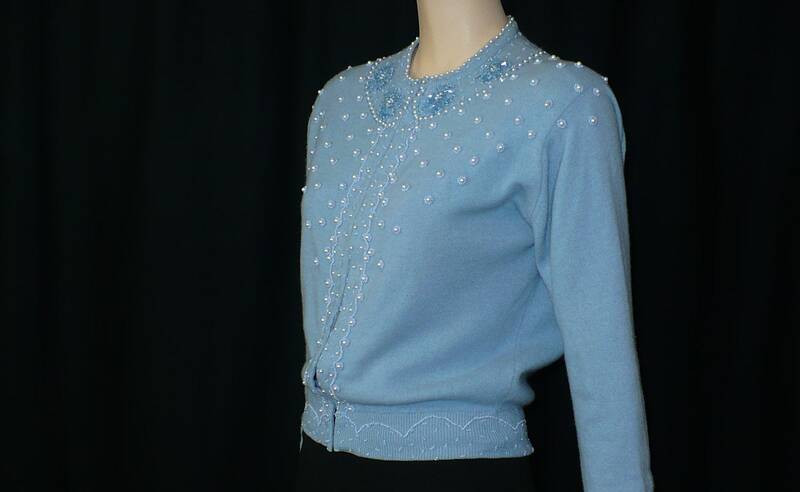 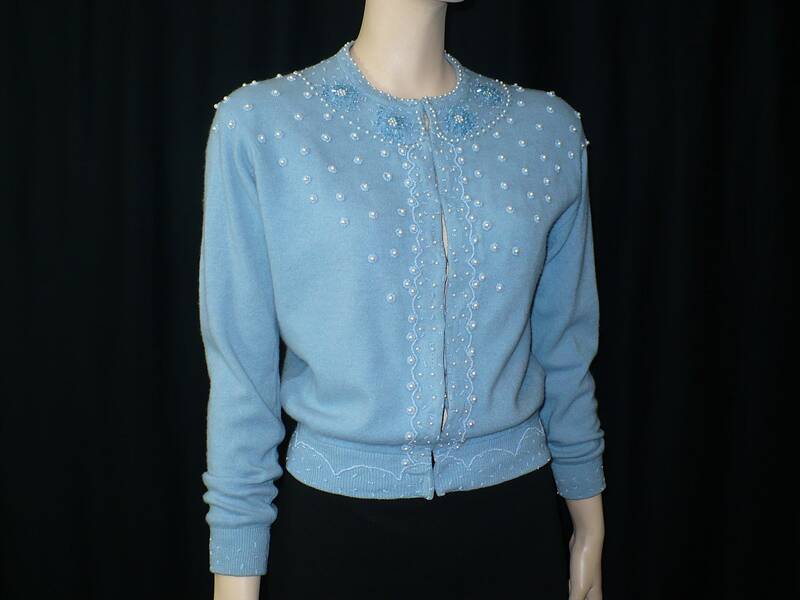 Set in sleeves measure 20"
Authentic vintage condition: Excellent; if one looks closely, you will see the buttonholes have been tacked shut and hook and eyes have been added. 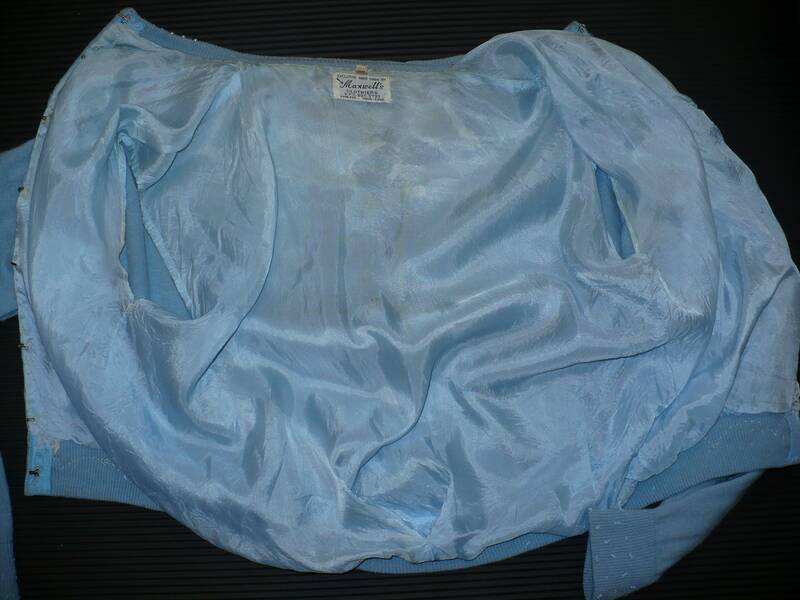 The silk lining has staining. 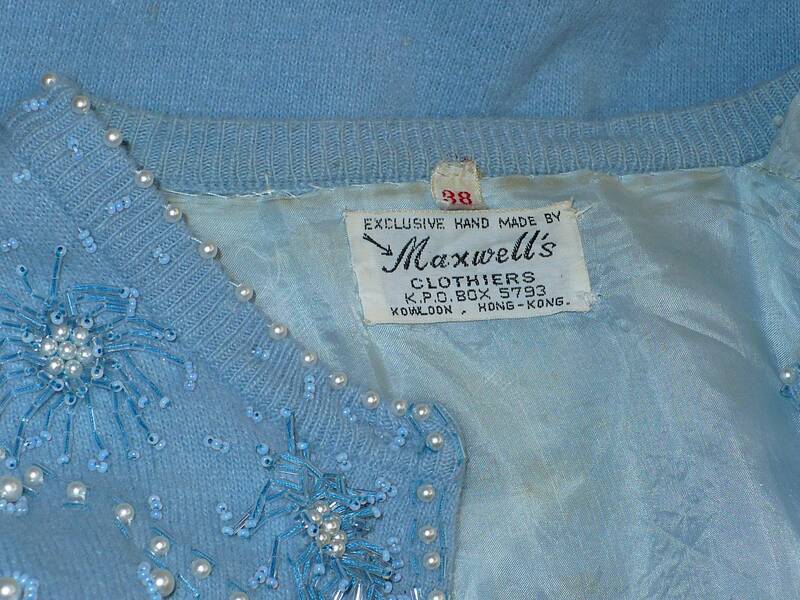 See images please.